I’m really excited to share all my work on low carb foods and diets with you; I think it’s a great way to lose weight that can be healthy and easy to stick with. I know it worked well for me and my friends and It’ll work well for your too. Make sure you check out all my low carb articles and resources so you can enjoy the low carb way to losing weight and feeling great! Carbohydrates are an important food group. In fact, if you look at the Standard American Diet, better known as the food pyramid, you’d be excused for thinking that carbs are the MOST important food group! The SAD recommends that 45-65% of all your calories come from carbs, mostly gains. And yet, if you want to lose weight, many experts will tell you that you need less carbs. I’ve got lots more to tell you about this subject in my article “Good carbs vs. Bad carbs for weight loss” where I’ll not only tell you which carbs to avoid but which ones to eat instead. Make sure you check it out! 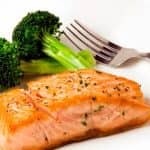 Cutting down on these foods is an easy way to cut calories but, I know, many of you will eat a lot of these foods because they are so common and a big part of many meals that you enjoy. Don’t worry though – you don’t have to give them up completely. I’ll tell you more about high carb foods and give you some great alternatives on my article “High Carb Foods”. Low carb diets are really popular at the moment and do you know why? They work VERY well! There are lots of different ones to choose from and I’ve come up with my own which I call “The Easy Low Carb Diet”. Low carb dieting works for lots of reasons which is why many of the bestselling diets use this approach. They don’t only work by cutting calories either; low carb diets help you lose weight by stabilizing your blood glucose, lowering insulin levels, reducing cravings, and filling you up with healthy, calorie-free fiber. But, the trick is, what do you eat instead? Just cutting out carbs can leave a big hole in your meals leading to hunger and cravings; not good! That’s why you need to know what low carb foods you can eat instead. Low carb foods are lower in calories so you can eat plenty of them without consuming a whole lot of unwanted energy. The result? Fat loss without having to starve yourself! Talk about the perfect weight loss solution. Make sure you check out “The Easy Low Carb Diet” for more details on this great approach to weight loss. The truth is, there are several different types of carbs and to decide which ones to eat and which ones to avoid, you need to know the difference. The main two types of carbs are simple and complex – the subject of this article. Knowing the difference between simple and complex carbs, as well as the difference between refined and unrefined and knowing a bit about fiber too, makes choosing the right carbs to eat so much easier. It’s not simply a matter of “all carbs are good” or “all carbs are bad”. Just as there are good fats and bad fats, there are good carbs and bad carbs too. 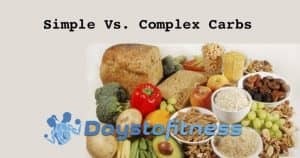 In my article “Simple carbs vs. Complex carbs” I explain the main types of carbs and the differences so you can choose the best ones to eat for weight loss. It’s a big subject but I’ve done my best to keep it simple for you. 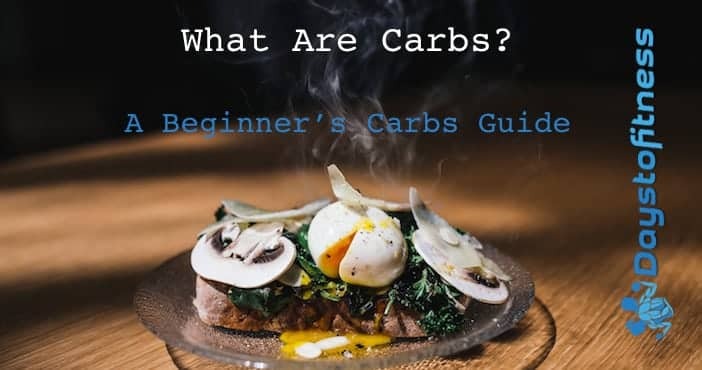 Once you have read my article, I’m pretty sure you’ll find the whole subject of carbs much easier to understand and will have no problem differentiating between healthy and unhealthy carbohydrates. L ow carb diets work, period. But, for some people, going low carb is a big transition that they simply cannot manage. Many try it and hate it or just don’t know what they should eat. Don’t worry though; I’m here to help! Going low carb sure sounds like it should be easy but that’s before you realize how many of your favorite foods are actually very high in carbs. Bread, rice, pasta and potatoes are cornerstones of most people’s diets but are also very carb-dense. While you COULD just give up these foods, your meals will look pretty unappealing if you do. Can you imagine your chili with no rice or your bolognaise with no spaghetti? How about steak with no potatoes? I know I can’t! 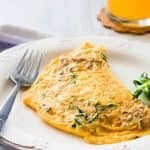 Because I’m just like you and didn’t want to give up my favorite meals, I did some research and discovered some GREAT low carb alternatives to common high carb foods. Each one is tried and tested and has my very own Sarah seal of approval! I love my food so you know these alternative don’t just save you carbs but taste good too. Try out these low carb alternatives. I honestly believe that, once you do, you won’t miss those high carb staples ever again! Carb cravings are a common problem on a low carb diet. Why? Because many of us are very reliant on carbs and have become used to eating them all of the time. It’s not really surprising that most of us are addicted to carbs when the Standard American Diet recommends 60% or more of your food intake should be made up of carbs. However, cutting down on carbs is a great way to lose weight and then keep it off. Foods like rice, potatoes, pasta, bread, and processed foods contain a lot of unwanted calories and can also interfere with fat burning. Cutting carbs and eating more vegetables is an easy way to eat fewer calories and also prime your body for fat burning rather than fat storage. However, cutting those carb foods we all rely on can cause carb cravings that are hard to resist! 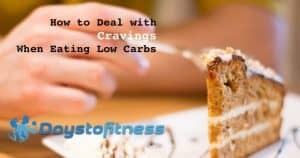 In my article “How to deal with cravings when eating low carbs”, I reveal SEVEN awesome strategies for beating carb craving that have worked for me and that I know will work for you. They are tried, tested, and have my Sarah-seal of approval! Let me show you how to beat your carb cravings so you can lose weight more easily on a law carb diet. Starting any new diet can be hard. Most diets often represent a big change and that big change can make it hard to stick to. The low carb diet is very good for weight loss, for many people, starting and then sticking to it is a real challenge. I’ve tried lots of diets in the past and also struggled to stick to them. 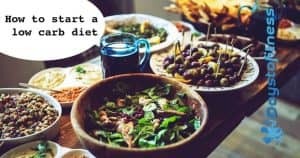 Because of this, I’ve learned lots of tips and tricks for making starting and sticking to a new diet much easier and in my article How to start a low carb diet I want to share my seven best low carb diet ideas with you! From planning your diet to dealing with cravings to identifying hidden carbs, I’ve got lots of information to share with you that will make starting and sticking to a low carb diet so much easier. Whether you are new to low carb dieting or have tried and failed with a low carb diet, this article is for you! Stop making the mistakes that cause so many people to fail before they even start; get off on the right foot with my best seven tricks and tips for successfully starting a low carb diet. The best way to make any diet doable is to ensure you eat foods you will enjoy. Buying a low carb cookbook means you won’t have to eat boring or unappetizing food and that makes eating for weight loss and health much more sustainable. If you are looking for new and exciting meals to eat, I recommend you buy one of these books and start cooking up some healthy and low carb meals in your kitchen. 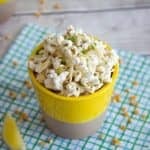 Most of them taste so good you will soon forget you are even on a diet! 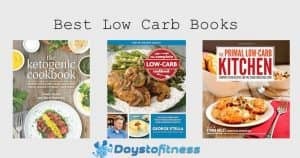 My favorite low carb books here. Low carb diets are very popular right now and for one main reason – they work. When you reduce your carb intake, you automatically reduce your calorie intake too. Bread, rice, pasta and potatoes as well as the carb content of refined and processed food is high in calories as well as carbs. Cutting out these foods and eating more vegetables instead means you eat fewer carbs and calories while making your diet healthier. However, did you know that there are several different types of low carb diet? Some are super-strict while others are more relaxed. Which one is the right one for you? Good question! 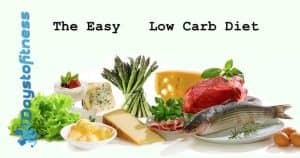 In my article Different Low Carb Diets, I explain the different between the THREE main types of low carb diet so you can choose the best one for your circumstances and needs. For example, did you know that just cutting back on high carb foods can help you lose weight but cutting them out completely will result in faster weight loss. 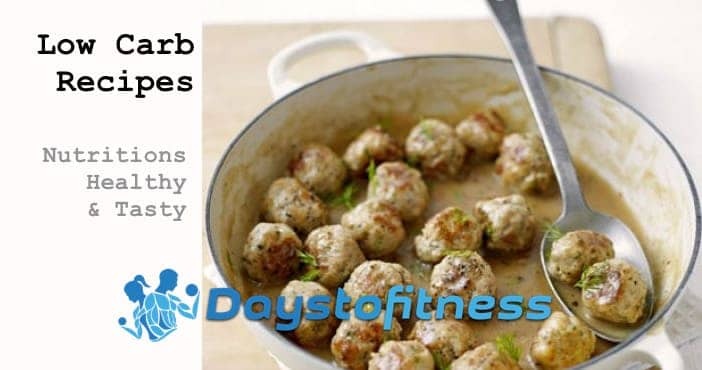 Or did you know that eating like a caveman can help you lose fat fast the low carb way? 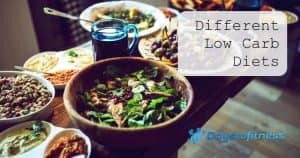 The best low carb diet is the one you can stick to so make sure you chose the right one by checking out Different Low Carb Diets today! Cutting your carbs down to very low levels will produce startling weight loss but, during the first few days, you might suffer a few unpleasant side effects. Not everyone gets these problems but for those that do it can be tough. Many experts call these side effects “low carb flu” which usually lasts just a few days. However, and if you are smart, you can avoid these problems completely. My first low carb diet didn’t go so well. Like a lot of people, I cut my carb intake too low and too fast. As a result, I felt horrible for almost a week. Once my symptoms went away, I found I really liked the low carb diet but I didn’t enjoy having low carb flu! The next time I tried a low carb diet, I made sure I did things differently to avoid unwanted side effects and symptoms. I put some changes in place and used all the tips and hints I could find. 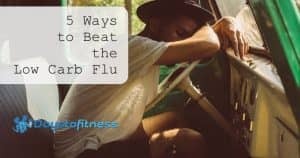 Because I know the low carb flu is so common, I’ve written an article called 5 Ways to Beat the Low Carb Flu in which I share my top five low carb flu-beating tips and tricks. If you have ever had unwanted side effects during a low carb diet, this is the article for you. Use these tried-and-tested tips to make your first week of low carb dieting as easy as possible! Low carb diets are an effective way to lose weight and get healthy. When you go low carb, you eliminate almost all sources of sugar and processed food from your diet which is a real one-two attack on the things that can cause weight gain and bad health. 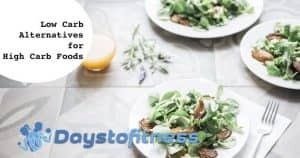 In the majority of low carb diets, those unhealthy foods are then replaced with things like vegetables and a few lower carb whole grains, all of which contribute to better health. 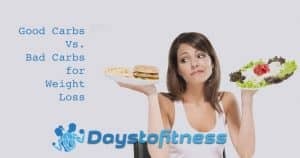 But, unless you follow a very prescriptive diet that lays out exactly what you can and can’t eat, it can be hard to know what foods contain a lot of carbs and what foods don’t. In my early days of low carb dieting, I was always trying to learn what foods I was able to eat. After a while, you become very good at identifying foods that are high in carbs that you must avoid, and what to eat instead. But, at first, it can be hard, and inadvertently eating the wrong foods could derail your diet. To help you overcome this tricky problem, I have written an article called How to Identify High Carb Foods so you can avoid those things that will stop you losing weight and that will make you unhealthy. I’ve used all three of the methods revealed in the article, and they are all simple to implement. Each one will make your low carb diet easier to follow. No matter what diet you follow, you probably want to lose weight as quickly and easily as you can while staying healthy and enjoying your meals. And then, once you have lost all the weight you want, you want to keep it off too. After all, why lose weight only to regain it soon afterward? Unfortunately, a lot of people sabotage their weight loss efforts without realizing it by drinking too much alcohol. A lot of readers of Days to Fitness write to me saying things like “Sarah, I follow your diets, and do the workouts you recommend, but I still can’t lose weight.” This at first seems puzzling but then, when I delve a little deeper into these people’s stories, I usually find that they are also frequent alcohol drinkers, and that they aren’t taking this into account during their diets. Most people fail to realize that alcohol contains a lot of calories and some drinks also contain a lot of sugar and carbs. Needless to say, if you are following a low carb diet but are drinking a lot of alcohol, you all but cancel out the benefits of your diet. In my article Alcohol and weight loss, I explain how alcohol can interfere with losing weight, and some rules for combining alcohol with a healthy diet while keeping your diet on track. I love the low carb diet. In my experience, and the experience of a lot of readers of Days to Fitness, it’s the most effective, easiest way to lose weight and keep it off. And it’s healthy too – low carb diets are naturally low in sugar and processed food, but high in vegetables. Perfect! But, low carb diets can make exercise a chore. Why? Because carbs are your muscle’s preferred source of energy during workouts. You muscles run on glucose and you get glucose from carbs. Some people find that, because of this, they lack the energy to exercise effectively. I find that cutting carbs can mean my workouts lack intensity, or that I don’t feel I can exercise as long as usual. It’s fine for easy or short workouts, but when I really want to push myself, I just run out of gas sooner than I’d like! Because of this, I did some reading and research to learn how I could improve my energy for exercise, while still sticking to a low carb diet for weight loss and better health. In my article Carb timing and exercise.I reveal my findings so that you, if you want to exercise hard and often, can still enjoy the benefits of a low carb diet without holding back workout performance. Low carb diets are great for fat loss, but they aren’t so good if you also want to exercise intensely. Carbs provide your muscles with their preferred source of fuel during exercise, and a low carb diet can leave you feeling tired. Not consuming carbs can also delay your recovery after exercise, affecting your next workout. However, when you are sedentary, your body really doesn’t need many carbs and is much happier burning fat for fuel. This raises a tricky situation; you need carbs to fuel your workouts, but you don’t need carbs if you want to burn fat and lose weight. The solution is simple: you need to time your carbs around exercise, eating most of your carbs immediately after exercise. This kick starts the recovery process, but won’t interfere with fat burning. Because of something called increased insulin sensitivity, your body is really good at digesting and using carbs after exercise, and that means that foods that are normally off the menu during a low carb diet are back on again – but only immediately after working out. Check out my article Post-exercise snack guide and ideas to discover what and when to eat to maximize your recovery from exercise. For any diet to work, you need to be able to stick to it and that means you have got to have nice foods to eat. As soon as you start to think “Boy, I hate these foods”, you’ll end up breaking your diet and going back to your previous unhealthy, fattening food choices. That’s why I have spent time and energy compiling some GTEAT low carb recipes for you to try. Each one is tasty, filling, and easy to make. I’ve got breakfast, lunch, dinner and snack recipes for you – each one tried, tested, and Sarah-approved! I really like food and could never stick to a diet I didn’t enjoy so you can rely on me to find you some good things to eat that still let you lose weight. Check out my “Low Carb Recipes” here ! Why are potatoes considered bad carbs? Answer: Potatoes are a starchy vegetable and, as such, are one of the few veggies that are high in calories and carbs. In their natural state, potatoes are actually quite healthy, even though they are high in calories and carbs. They are high in vitamin C and fiber too. But, most people don’t eat plain boiled potatoes. Instead they eat potato chips, French fries, potato wedges, or slather on lots of butter or sour cream. This all adds a lot of calories to your meal, and that’s when good potatoes turn bad! The occasional serving of potatoes is no big deal – unless you are following a low carb diet of course. If you are on a low carb diet, the fact that potatoes contain a lot of carbs means they are off the menu. If you are allowing yourself to eat potatoes, make sure you eat them in their natural state to avoid making them unhealthy. Why pasta and rice are considered bad carbs? Answer: Pasta, rice, and bread for that matter, are available in two main types – white and brown. The white versions are processed and much of their fiber content has been removed. This increases their natural sugar content and also removes some of their healthful characteristics. Brown (or wholemeal) pasta, rice, and bread are less processed and contain more fiber, making them healthier choices. However, all types of pasta, rice, and bread are very carb-dense meaning that even a small serving contains a lot of carbohydrate. That’s okay if you are following a moderate or high carb diet, but if you are on a low carb diet, even good carbs need to be avoided. One way to do this is to replace carbs like rice and pasta with more vegetables or use these Low carb alternatives for common high carb foods. 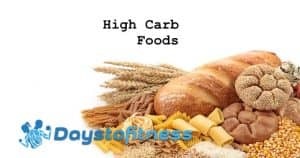 How to identify high carbs foods? Answer: If you are following a low carb diet, you need to avoid high carb foods, but how do you identify them? For a start, you can check out my article High carb foods and stop eating the things listed. You can also use a food tracker to identify high carb foods, or make sure you read the nutrition labels on your prepackaged foods. Simply cutting out bread, rice, pasta, and potatoes will also eliminate most of the common sources of carbs from your diet. Check out Identifying high carb foods for more details. I love pasta; do you have any low carb alternatives? Answer: I love pasta too! It’s filling, cheap, and tasty. But, if you are serious about losing weight and are following a low carb diet, you’ll need to find some equally tasty low carb alternatives. 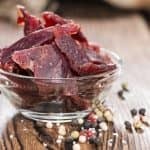 Luckily, I have done some research and discovered some great Low carb alternatives for common high carb foods. Just use them in place of things like bread, rice, and pasta. These alternatives taste just as good, but contain a fraction of the calories and carbs. Why are most processed foods high in carbs? Answer: Processed foods are mostly made from things like wheat and other high-carb staples. They also contain a lot of sugar, which is another source of carbs. As such, almost all processed foods are automatically high in carbohydrate. Not only are they high in carbs, they are also low in fiber, high in trans fats, and very low in vitamins and minerals. Most also contain artificial ingredients such as preservatives, colorings, and sweeteners. All in all, processed foods are best avoided whether you are on a low carb diet or not! 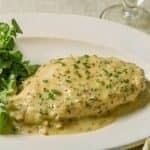 How can I have a low carb meal in a restaurant? Don’t take food from other people’s plates; no stealing their French fries! 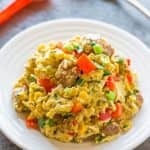 Do you have any low carb alternative to rice? Answer: Rice is a staple food for many of us. It’s versatile, and it’s cheap, but it’s also very high in carbs – even brown and wild rice. In dishes that require rice, I use grated cauliflower instead. It’s virtually carb-free and works perfectly in all rice-based meals. You can find this recipe and other alternatives to high carb foods in my article Low carb alternatives for common high carb foods. 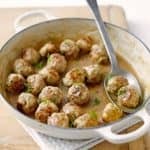 Can you recommend any good low carb cookbooks? Answer: I like to buy books – especially on food, cooking, and health. You can find a lot of information for free on the internet but, in my opinion, books are the best! I like to page through my books while relaxing on the sofa, or before I go to sleep at night. It just seems like a much better use of my time than watching TV! Because I buy and read so many books, I’m happy to recommend what I think are the Best low carb books around right now. I’ve reviewed each one and assessed their strengths and weaknesses. And because cost and content are important, I’ve outlined exactly what you get for your money. Check out the reviews and let me know if you buy any of them, and if you liked them too! 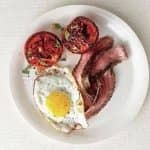 I would like to start a low carb diet; how should I start? Answer: Low carb diets are great for health and weight loss. As soon as you cut your carb intake, you automatically reduce the number of calories you consume, eliminate most processed foods and sugar, and turn your body into a fat burning machine. In short, low carb diets work! However, with so many different low carb diets to choose from, it can be very hard to know where to start. Can I lose weight just by following a low carb diet? Answer: yes – you can. In fact, the low carb diet is perfect for people who don’t want or like to do a lot of exercise. By cutting carbs, you prime your body to burn fat for fuel, even when you are working or sleeping. But, and saying that, you’ll lose weight faster if you do a little exercise too. I suggest that, if you can, you walk for 20-30 minutes every and, better still, try some running. You could also do some yoga or do some home workout routines to speed up fat loss, get fit, and feel healthier. But I thought carbs were essential for energy and health? Answer: Your body does use carbs for energy, but it also has a very good alternative source – fat. By cutting carbs, you force your body to use more fat for fuel which produces better, faster fat loss. Carbs are not essential because you can make use of fat for energy instead. Some people worry that by cutting carbs, they will be eating too little fiber, vitamins, and minerals, but that’s not true. In fact, cutting things like bread, rice, and pasta from your diet, and then replacing them with vegetables, means you’ll be getting more fiber, vitamins, and minerals than ever before. If you eliminate all carbs, you do run the risk of dietary shortfalls, but very few diets are completely carb-free, and most allow you to eat 50-100 grams of carbs per day. This means you can eat lots of vegetables, and even some fruit – just no grains like bread, rice, and pasta. These foods contain very few healthy nutrients so it’s no great loss! I’m going to try this low carb to lose weight. I enjoyed reading this. I am a resident in an Independent living facility. The meals are vegetarian and I have packed on twenty five pounds. As I am on a fixed budget I need to adjust out some foods. I have always been tiny and never been on a diet. What can I do? We have a great salad bar, can I exist on that alone? Thank you. Thank you for your very helpful article. This is just the advice that I need. I have religiously stuck to low-fat, high-carb all my life thinking that this was healthy. Guess what? I have piled on the pounds, especially since I passed fifty. I really don’t want to go on another ‘diet’, lose the weight and then re-gain even more. What I want is a lifestyle plan that helps me to control my weight and improve my health and this is it! Thanks for your comment. Diets only work on the first months. After 4-6 months all diets fail. Why? Because we can’t diet for life, we can’t restrict calories, or restrict our food choices in every occasion. Food is a celebration and always have been: Thanksgiving, Christmas, Weddings, Birthdays. We like to feast, but then we need to fast. If we eat like kings and queens every day we become fat and sick, like happened with kings and queens. We can feast like a king and then we should fast to heal and clean. That’s what I’ve been doing for the last 365 days. I fast from after dinner until lunch next day. I skip breakfast, I allow the body to clean and burn some stored energy before I store some more. 3 Meals a day, don’t snack between meals. Give a body some time to rest between meals. Our body can be burning or storing energy. When we constantly eat our body is always storing energy, when we stop eating our body starts burning stored energy. Constantly eating, constantly storing more energy in form of fat. While fasting your body burns the available energy. A balance between feast and fasts. If you had a wedding you will feast so fast the next day. Soon I will write a guide on how to start with intermittent fasting for weight loss. It’s not about what you should eat but when to eat and when not to eat. Stay tuned, subscribed and you’ll get an email as soon as I published the guide. Have a great day. Amazing and informative article Sarah!